A clogged drain can be a headache for any homeowner or tenant. But it doesn’t have to be. Drains are an essential element of a functional home and when they don’t work properly it can affect everything. When you know how to properly care for your water pipes, you’ll be able to recognize and resolve issues before they become problems. While there are a variety of pipes and their functions can differ, they all share the need for regular maintenance. Experts recommend a professional pipe inspection every few years. However, things can keep functioning well if the homeowner or tenant knows how to perform pipe upkeep themselves. One important factor in cleaning your drain pipes is to be aware of what type of pipes you have in your system. Part of determining this will be the age of your house or apartment. As a homeowner or tenant, you may be wondering why it would be important to know about the drain pipes in your house or building. Even if you never do any work on the pipes yourself, understanding more about the material they are made of and the possible problems that come with each type can help you discuss the situation with your maintenance contractor. These are grey or silver in colour and will either be galvanized or zinc-coated. Steel pipes are most susceptible to rust, which can cause clogs and weak water flow. They are most often found in homes built between 1930 and 1990. These pipes are more of a bronze colour. Copper became popular in the 1960s when builders began to prefer it to steel because it is thinner, smaller and lighter. This type is also more heat resistant and durable. However, in some earlier uses of copper pipes, lead solder was used, which can be a toxicity problem. In addition, copper has been known to corrode, leaving a darker, greenish hue. A hard, white, plastic material, PVC started being used for pipes in the 1950s. It is rust-proof and durable. Yet, its heat tolerance means it has limited usability. PVC is largely used for toilets and drain pipes only. This comes in a variety of colours, but most often blue will be used for cold water and red for hot water. Similar to PVC, it is valued for its rust-proof and durable design. However, unlike PVC it is only used for incoming water lines. Depending on what pipe system is being used or installed the best type of material can differ. For water pipes in homes or apartments, CPVC is the most popular choice. This is the PVC type of material mixed with some chloride. These pipes are durable and easy to repair and replace. If there is a piping problem, maintenance workers are simply able to cut away parts of the pipe and replace it using an adhesive. The downside of this material is that it is not the best environmental choice. Not only is it not able to be recycled, but the creation of CPVC creates a lot of pollutants, particularly chemical. However, its durability and safety when it comes to pipe water remain unmatched. In the last few decades, a new material has been used in Europe, though it has not yet become a popular choice for homes and buildings in the United States or Canada. Polypropylene is a plastic pipe that has become known for its strength and safety. Another benefit of polypropylene is that its creation is far less environmentally damaging that CPVC because it relies on heat rather than chemicals in its formation. It has also been promoted for its long life, however, because installation and maintenance requires an expert, it has not been a practical or simple choice. Regular use of drainage cleaners can be tough on pipes. A lot of water passes through an average Calgary household on a daily basis. Add food particles, hair, and other things that should not be flushed, and it is no surprise that drains can get backed up. For the most part, people don’t think about their piping system until something goes wrong and the drain is clogged or leaking. Often, homeowners will simply grab a chemical drain cleaner to solve the problem. However, this is usually a band-aid solution for a potentially bigger problem. In addition, the chemicals in drain cleaners can damage your pipes, which, in turn, can create further issues. Nobody wants to deal with a clogged pipe, and luckily there are some things that people can do to reduce the chances they will have to deal with problems in their drain pipes. 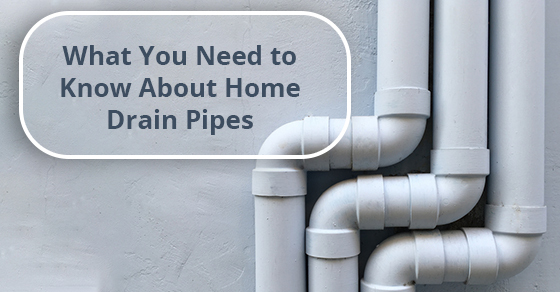 When it comes to keeping things running smoothly in your home, knowing the ins-and-outs of drain pipes can help. However, don’t put off calling in a professional if you have a piping problem. For more information about protecting your drain pipes call Imagine Plumbing at 844-399-4670 or contact us here.